Ah well, you might have recognized the recent slowdown in development and events... and practially everything ;-). To be more precise, this mod has been dead since about two years (and walking dead for years already then). But that doesn't mean I will stop doing things with it! Haha, nooo, I can still feed it to the monkeys! So what is that you may ask? Well, that is the JMonkey engine! 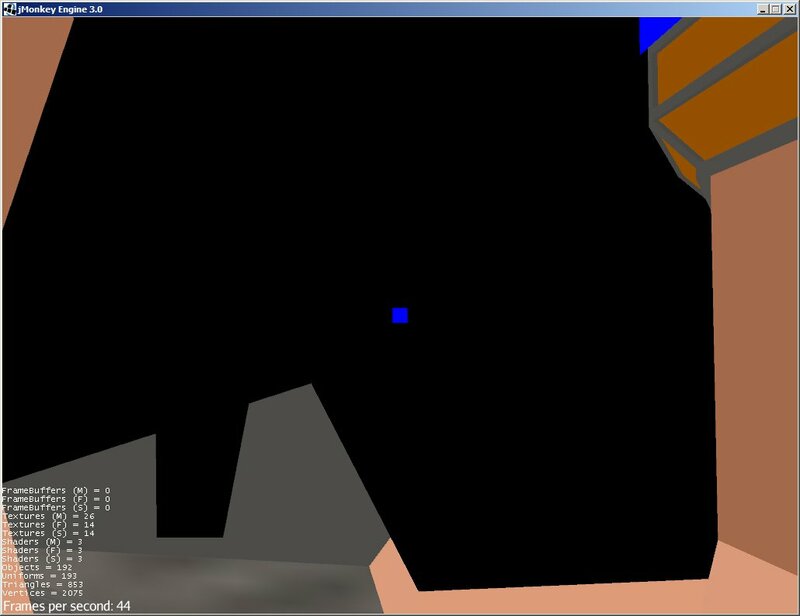 And the most important thing was to read the HalfLife map files into the format of that engine. For that, I needed to do some old school math and it took a while. <]OX[Razielk> so what are the benefits of this new engine? Re: Let's feed it to the monkeys! At least it opens up for the possibility :-). Meaningful could be using it for high quality levels. But the models would need to stay in one reasonable quality. Most likely I can finally make use of the original resolution of their textures and maybe use some shader technologies at some point?